At the center of Arabian Nights, #2 is a fabric-draped pot with voluptuous curves, cinched with a belt that connects all the elements of the piece. 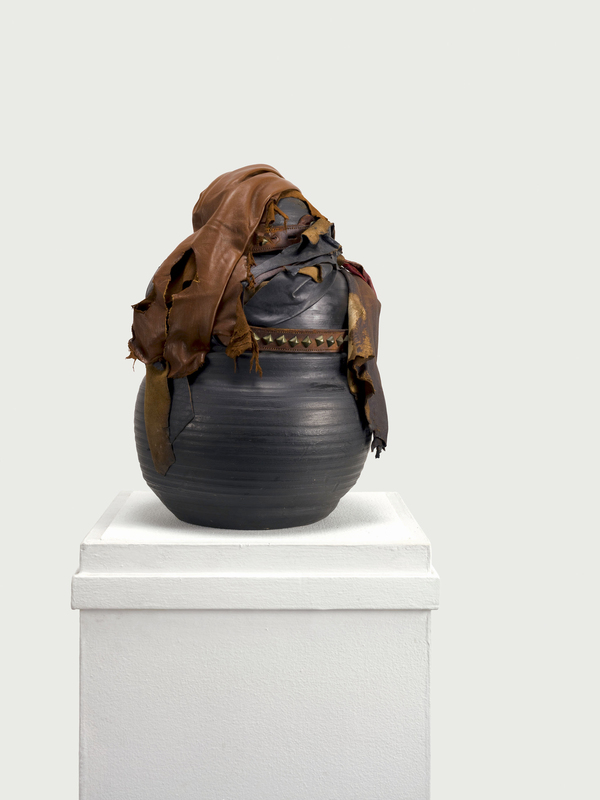 This sculpture is a formal and conceptual departure from Davis's previous work with clay, reflecting the artist’s experience with using the potter's wheel as a creative device. The title Arabian Nights reflects an awareness of and interest in what the artist describes as an African aesthetic. "Arabian Nights #2." Now Dig This! Art in Black Los Angeles, 1960–1980 Digital Archive. Los Angeles: Hammer Museum, 2016. https://hammer.ucla.edu/now-dig-this/art/arabian-nights-2.